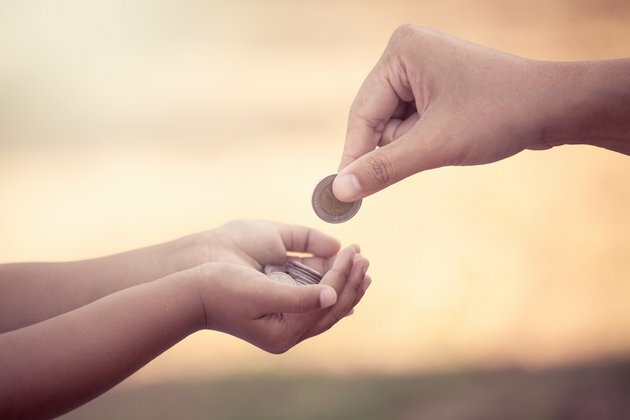 Zakat (charity) is one of the five pillars of Islam; it is essential that a Muslim donate at least two percent of their earnings to the masjid. That being said, if they are unable to donate money to the masjid, then doing an act of kindness such as feeding the poor, volunteering, or even being kind is an act of zakat. At this time of the year, Muslims around the world are practicing giving zakat because it is the month of Ramadan – a sacred time where all Muslims focus on their spiritual connection to Allah (God), fast for the month from sunrise to sunset, and practice giving zakat as often as possible. In doing so, zakat becomes a part of a Muslim’s day to day experience during the time of Ramadan. It is a time of purification for the soul; to keep away from foul language, indecent actions, and distractions from the worship of God. And for those who can’t fast, it’s another opportunity to make up those days by doing charitable deeds. The month of Ramadan is focused on bringing Muslims together without letting race, culture, or class separate us, and to allow us to truly be respectful of those less fortunate. As the month of Ramadan comes to an end, it’s time to practice Zakat ul-Fitr. It’s a new opportunity for Muslims to share what they’ve learned from fasting from the month of Ramadan with their friends, family, and new acquaintances. By definition, Zakat ul-Fitr (charity on the day of celebration) means an obligatory act of worship is performed the day before Eid prayers; Muslims will provide a significant source of goods to a community in need, like donating food or money. They will go to a local meat market a buy a whole goat, and the head of the household will donate it to a family in need, or give about $10 to each individual in a family to pay for one meal. However, this changes depending on how wealthy your family is; if you can give more, it is encouraged because in the afterlife, you will be rewarded for your kindness. During Ramadan, by fasting, we are reminded that our actions – good and bad – make us all equal, so it is better to be more charitable than selfish. Muslims today try as best as they can to follow the actions of the early Muslims. Abdullah Ibn Umar said that the Holy Prophet (may Allah bless him and give him peace) ordered the people to pay Zakat ul-Fitr before going to the Eid prayer (al-Bukhari). In order to commemorate the act of fasting for a month, it’s important this act of Zakat ul-Fitr is a bigger donation than zakat made during the rest of the year. Zakat, in general, unites the community in the bond of never leaving anyone to suffer, because we support one another. Zakat ul-Fitr strengthens that bond even more so since its the day before Eid; a very special time of the year where Muslims focus on spending time with family, reconnecting with friends, and enjoying each others’ company over a good meal.